Another one from the cellar. 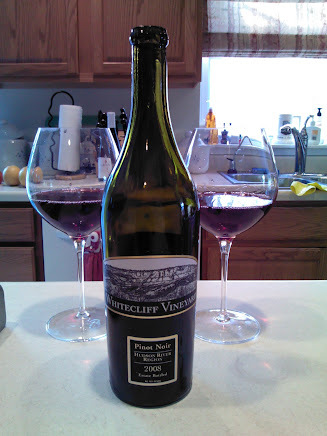 I am quite amazed on how the Whitecliff wines hold up with age. 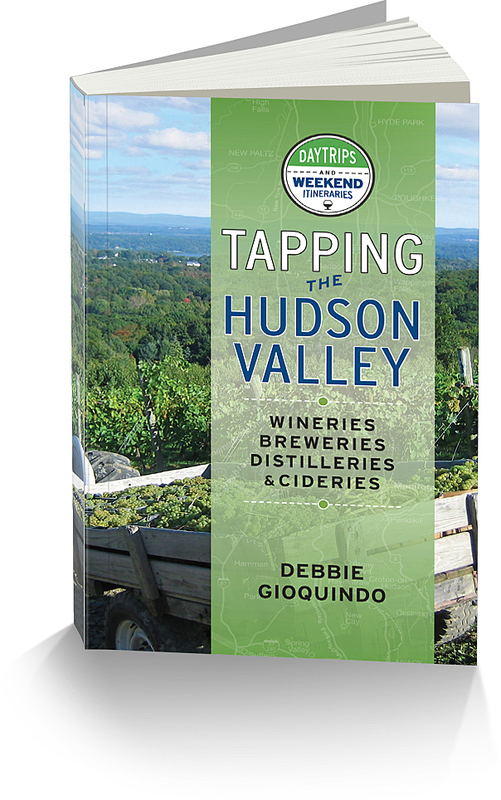 As I go through my cellar I have quite a few of older vintage Hudson Valley selections. I am looking forward to sharing them with you as they are uncovered. 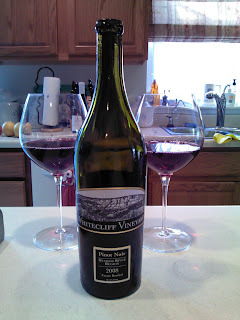 We opened this Pinot Noir as an appetizer on Superbowl Sunday. Aromas of oak and raspberry filled the glass with hints of vanilla. Soft tannins were felt on your palate as flavors of ripe plum and red cherry danced on your tongue. Hints of spice rounded out the finish in an elegant way. If you have any of this Pinot Noir hanging around now would be the time to open it. We felt it was at its peak. The flavors really stood out, it had a great soft mouth feel and was very enjoyable.